Most of my Garden Beds in 2017 Garden Plan produces 3 batches of vegetables during one season. This Raised Bed is one of the exceptions and only produces 2 batches during one season. I'm careful on rotating cabbage plants from season to season (more about that below), so this Raised Bed is planned to fill the Cabbage Quarter. I Love Cabbage and we eat a lot, so I try to grow a bit of everything in the space that I have. So I keep full focus on Broccoli and Red Cabbage in this Raised Bed, and only grow a little bit of Rocket, Spinach and Radish as quick crops before the Cabbage is ready to be transplanted to the Raised Bed. 2b = This bed is in the "Heavy Feeders" Quarter in my Crop Rotation Plan. Besides from being Heavy Feeders, Cabbages are also sensitive to diseases that can be caused from growing Cabbages in the same place for more than one year, so rotate Cabbages each year (on at least a 4 year Rotation Plan, preferable a 6 year Rotation Plan but that requires more space). Check that Broccoli and Red Cabbage Plants are OK. If not, start new seeds indoors now. 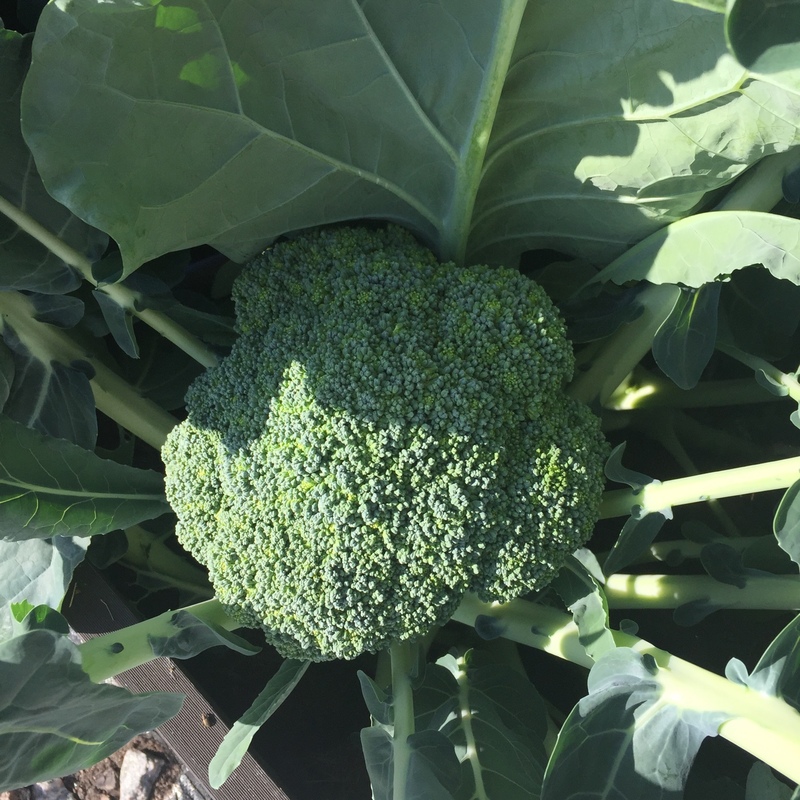 Start harvest Broccoli when ready. 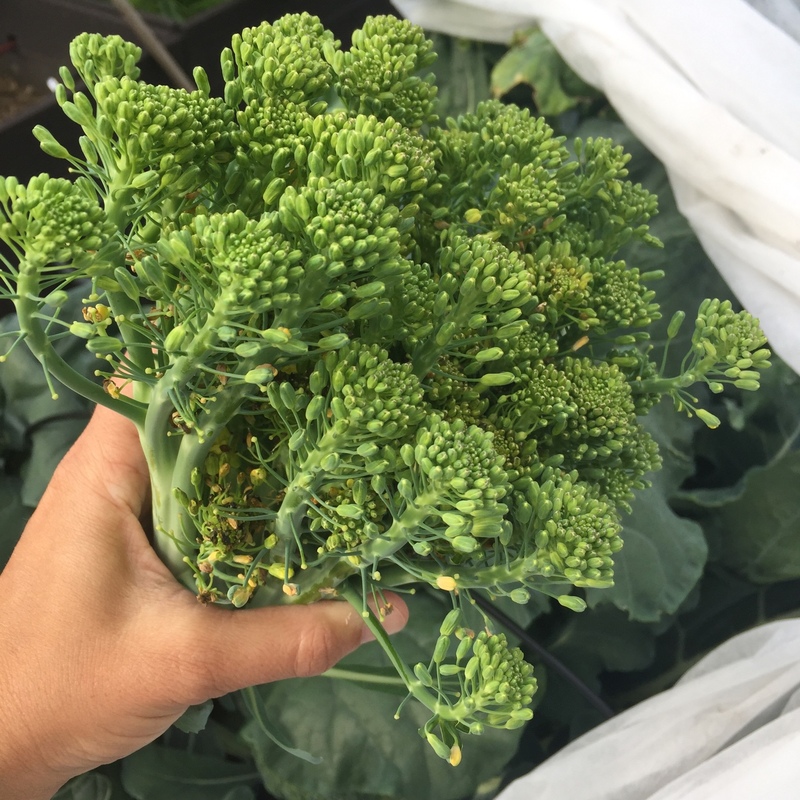 When the first Broccoli Head is picked the Plant will produce a lot of smaller Broccolis that can be harvested once a week until around Mid October when frost takes it. When to harvest Red Cabbage depends on variety. Heads should be firm but not starting to crack. I use different Winter Sowing Methods for different purposes. For these Crops I simply prepare the Winter Sowings in containers indoors, and then place them in my Mini Greenhouse (see pictures below). For other Winter Sowings I sow straight into the Raised Beds (examples of that is found: here). Fill a Seed Tray or other sowing container with Soil. I use regular Soil from the Garden for all my Winter Sowings, and do not worry about the risk of High Nutrient Soil burning the Roots. Winter Sowing is growing stronger Plants, and my experience is that they will be fine. Place the Seeds in the tray. Follow the recommended Seed depth from each Seed Instruction. In this tray I'm sowing Cabbage, but also experiment with some new stuff. I have some safe cards when it comes to Winter Sowing, and usually add some crops that just might surprise me... In this tray I experiment with Caucasian Spinach (Hablitzia Tamnoides), Coriander and Swiss Chard. I consider it low risk to try different things, if they don't sprout i still have plenty of time to start new seeds when the ordinary Seed Starting Season comes. Bring outside, and add some Snow on top. The snow will melt and the Seeds will sprout when the weather is right later in spring. Let's hope that some of the Plants started sprouts when Spring comes. Long time, no update on this Raised Bed. The early crops in the Raised Bed is growing OK. The spring has been really cold here, so rocket is unfortunately running to set flowers already - but leaves are still OK to eat. I have been harvesting plenty of Spinach from this Raised Bed and other Raised Beds today. I plan to make a separate post on that topic soon. Anyway. Cleared out the lettuce from this Raised Bed today, and moved Broccoli and Red Cabbages outdoors. Cabbage Quarter will now manage itself for a while.. 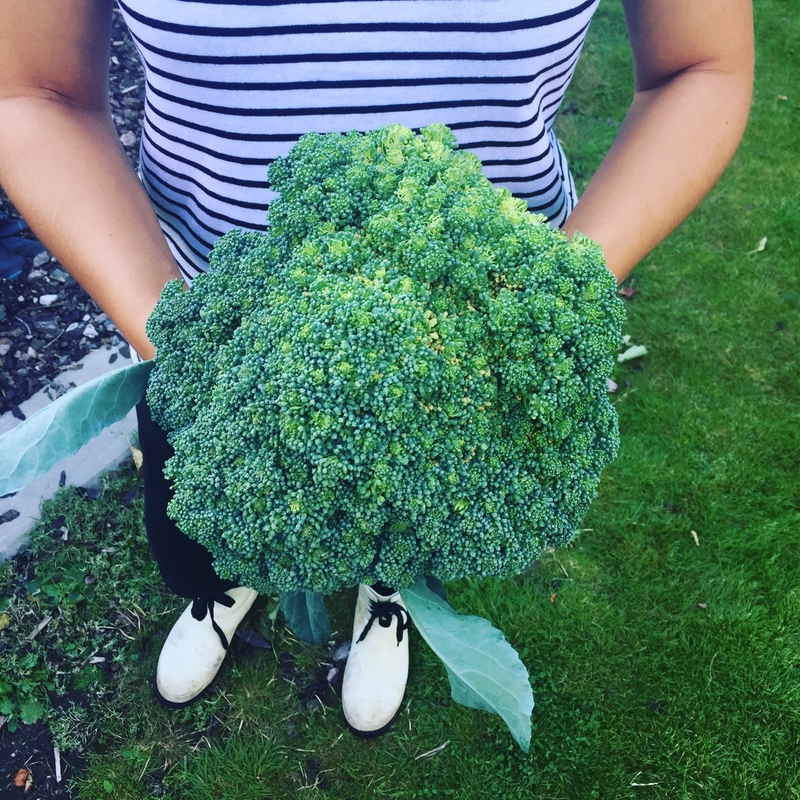 Broccoli is taking over this Raised Bed! There is not really room enough for the red cabbage. I will keep it growing for a few more weeks to se if it is catching up. Broccoli looks really stunning! 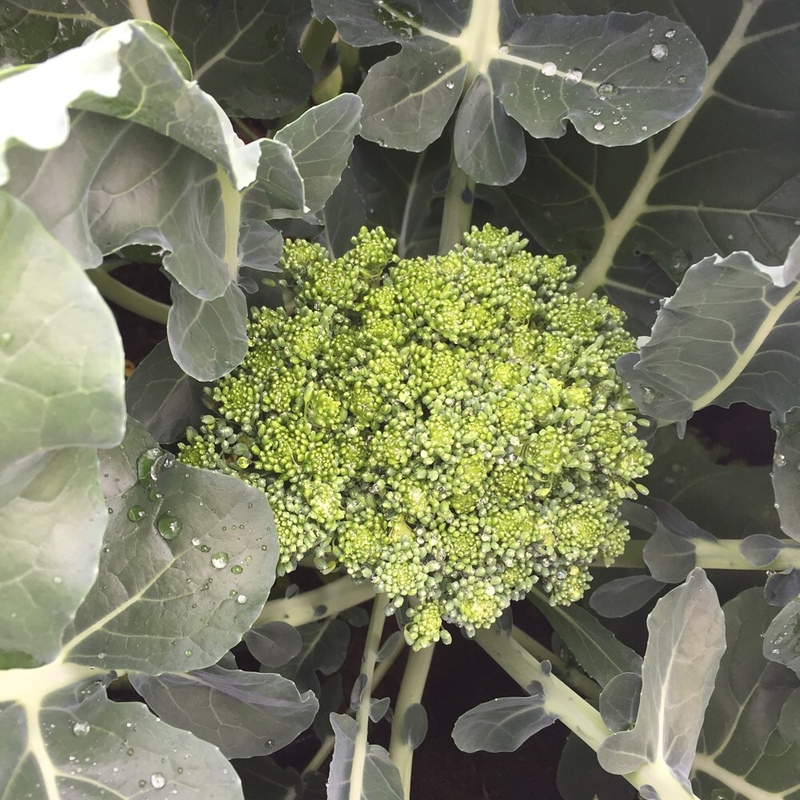 Make sure to eat the Broccoli heads before Flowers are developing. This one was still very tasty! A piece of broccoli, and a piece of me!